Seaweed Extract – HCM Agro Products Private Ltd. The Seaweed extract is natural organic concentrate that are extracted from marine plants. These natural and non-toxic extracts are rich in minor elements and natural growth hormones and trace elements like auxins, gibberellins and cytokinins. These trace elements help the plants in different ways qand leads to faster growth. Seaweed has sixty trace minerals and ready to use nutrients including Nitrogen, Potassium, Phosphate, Alginic Acid & Magnesium. Multi-functioning organic fertilizer helps in rejuvenating and composting soil. 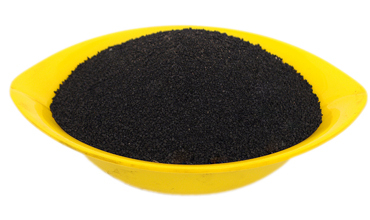 It is a naturally derived soil conditioner. Seaweed helps to keep the soil moist thus reducing the need to water. It helps to grow string, healthy crops and resist fungus and disease. It doesn’t blow away, seaweed (especially when it is stiff wet) won’t blow away in a stiff wind. Packaging: In 20Kg., 25Kg., & can be customized.